It doesn’t matter where in the city I am I can always find a Macaron lol. I’m a magnet, I kid you not. I had to take my car into to the shop and I knew in the area there was, a cold-press juice shop I wanted to try. But as I left with my juices in had I passed a patisserie and the name sounded familiar to me, even if I couldn’t pronounce it and I was right. 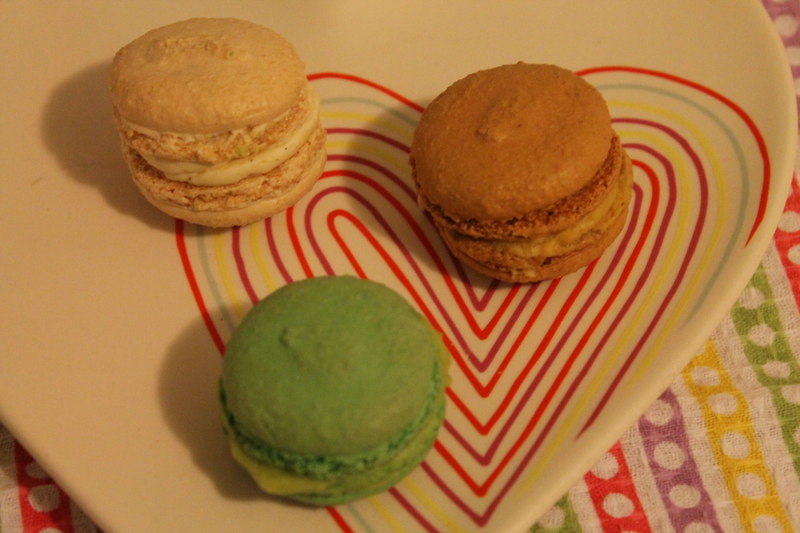 I stumbled upon Patachou a patisserie on my quest list and grabbed 3 macarons for later. I had my juice to start the morning off healthy and as a treat sugar for dinner. I really have only come across two macarons so far that were only so, so and these weren’t one of them. I liked that the filling was what seemed to be a whipped cream based filling. When I went home to check out the website I learned that after 35 years in Toronto, Patachou will be closing its door on May 3rd 2013 because bakers hours are quite grueling and it’s now time to rest, says the owner and baker at Patachou. I am making sure I get back here one more time to sit down and partake in a few more offerings and taste these treats one last time.